I Stella Virdi, have been living in, and loving, Cyprus for over 20 years! How did I start? I fell into the family restaurant business by accident but found myself comfortably falling into the position of Hostess with ease. Making sure all my customers’ needs were taken care of and that they had the best time, no matter what. Everyone was looked after, totally comfortable and completely satisfied. And was born Zaffron Weddings! An extension of one of our beautiful restaurants. A small personable company where I get to be hostess once again; for those brides and grooms who require the excellence I am ready to give. I have been dealing with weddings now for the past 10 years. So far I have produced and been grateful to be a part of an endless list of weddings with happy brides, grooms and wedding ceremonies; something I am very proud of. 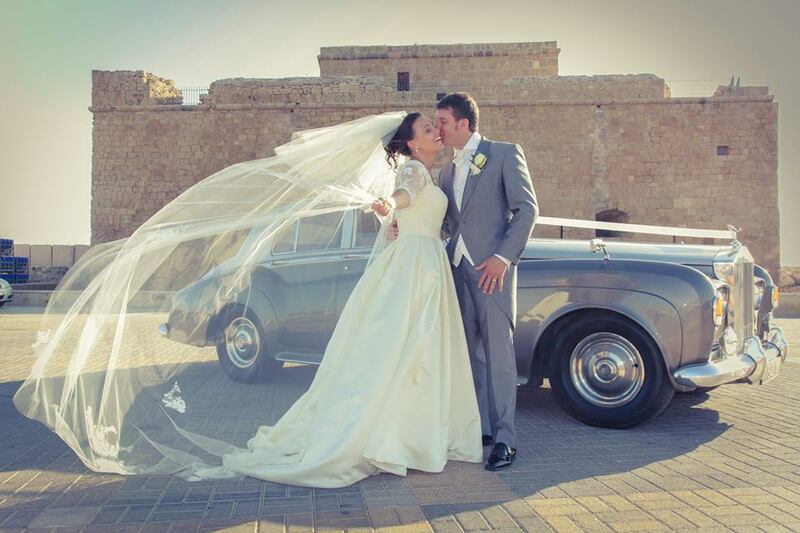 For the past 10 years I have been coordinating wedding for couples from abroad, who dream of the perfect day in the sun, on the Island of Love. And I love every one of them! I work hard, I have a keen eye; I can orchestrate, conduct, coordinate and choreograph your dream wedding, AND I love doing it. I employ a team of people who are just as, if not more passionate than me, and we all love what we do. From intimate gatherings to spectacular presentations, it’s a job I (we) love. Every wedding is important and only the best will do. I hope I can provide the best options for every couple I meet. I make myself available throughout the whole process, and your wedding day, and even afterwards; just to make sure you are fully satisfied with your whole experience with me. I want it to be as perfect as you had imagined. Weddings by me are… Whatever you want them to be, whatever you have imagined – suited to your budget and your expectations. Let me make your dream wedding come true! Wow what an amazing 3 weeks we have had celebrating out married. We had our wedding at at George’s chapel and then out reception at Elea Estate. Both were fantastic locations! A massive thanks to Stella Virdi, without you we wouldn’t have found the beautiful complex Elea or the Avillion apartments. Stella, You were amazing and definitely know how to make peoples wedding day special. We wouldn’t change one thing from our wedding and because we had Stella it was so well organised and perfect. Brides my biggest advice is to get a wedding planner, I was so chilled on the day of the wedding because I knew she would be by my side making sure everything, went to plan! Wow Wedding Day, Thank you. Jane and Steve ‘The wedding We Had Dreamed of’. Jane and Steve 'The wedding We Had Dreamed of'. Always being available throughout the whole process – planning, the wedding day and even after to make sure everyone is happy and satisfied that their wedding was as perfect as could possibly be.